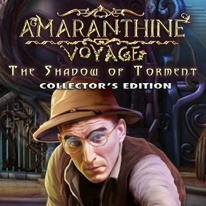 Embark on an archaeological adventure! Long ago, Anther was a realm of beauty and magic, but the appearance of a being named Torment drained their magic and forced the survivors to flee to a world called Earth. Years later, one of their artifacts has been uncovered, reopening the way between both worlds. You must enter the portal and stop Torment before it turns its sights toward Earth. An ancient prophecy declares that you will be the one to save both worlds, but will it come true? Find out in this breathtaking Hidden Object Puzzle Adventure game! This is a special Collector's Edition release full of exclusive extras you won't find in the standard version. - A thrilling bonus adventure with Professor Burns' protégé! - Music, wallpapers, concept art, and more!